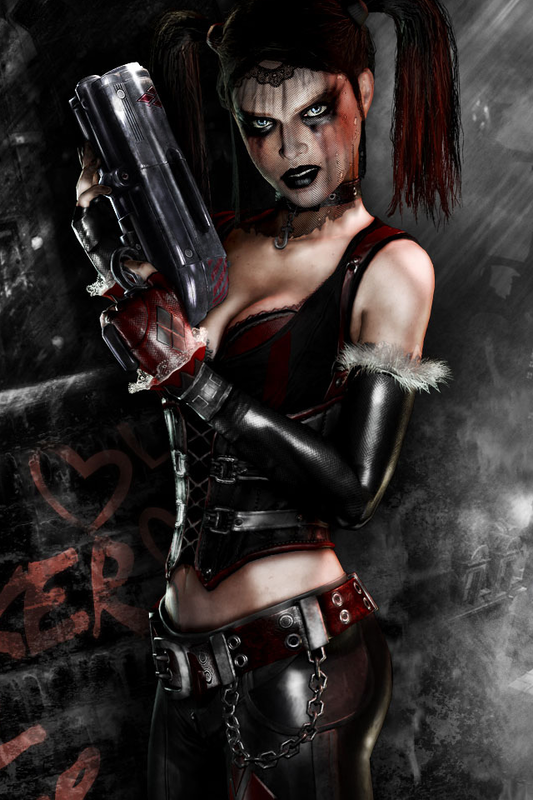 It's been officially announced now that the Arkham City Game of the Year edition will feature 'Harley Quinn's Revenge', a new DLC add-on! It apparently adds more than two hours of new playable content - Harley's in charge, she's got goons of her own and she is jonesin' to give the B-Man a whuppin'!The trailer can be viewed here. Check out her new outfit! Good to see that, despite being up the duff, heartbroken and hellbent on revenge, Harley still has time to revamp her look! The new Bishoujo statue - of which we'd previously only seen an illustration - will be available of September this year! Pre-sales are out! It's emerged that Anne Hathaway actually thought she was auditioning for the role of Harley in The Dark Knight Rises!